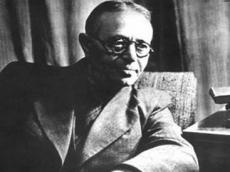 Azerbaijan marks National Music Day on the 128th anniversary of acclaimed composer Uzeyir Hajibayli, September 18. For the fifth year running, the capital Baku and the country's regions are hosting an international music festival dedicated to Uzeyir Hajibayli to celebrate the date. This year, the festival, due September 18-28, will be joined by famous conductors and soloists, young artists, and music bands from Russia, Turkey, Germany, France, the United States, Slovakia and Lithuania. The Baku city culture and tourism department has prepared an action plan to celebrate the date. Culture centers, museums, music and art schools will hold lectures, workshops and concerts on this occasion. Moreover, young musicians will present their skills in the Uzeyir Hajibayli House-Museum in the frame of the "Guests of Uzeyir's house" project. Shusha State Musical Drama Theatre will present the performance "Uzeyir Hajibayli. World of joy and music" at the Garabagh mugham center in Agjabadi. The birthday of the country's greatest composer is a nationwide event, as Hajibayli laid the foundation of Azerbaijani national music by composing the first-ever operas in the East and studying folk music. Azerbaijani music, which is a part of the abundant Azerbaijani culture, has been developing throughout centuries. The first written monument of the country, the Kitabi Dede Gorgud epos, contained several chapters related to music and referenced musical instruments, testifying to the ancient history of the national music. Evidence of ancient music in the country has been found in a number of monuments, rock carvings, as well as the outstanding creations of great Azerbaijani poets Nizami and Fizuli. The Azerbaijani music started to develop from folk music art, then reaching classical mugham. Mugham is one of the key forms of Oriental art, which still influences modern music in Azerbaijan. Hajibayli's "Leyli and Majnun", the first opera in the Muslim world, which was composed and performed in 1908, revolutionized Azerbaijani music. After this opera, contemporary Azerbaijani music embarked on its triumphal ascent, with such creations as "Sheikh Sanan", "Asli and Kerem" and "Shah Ismail" operas, and the "Arshin mal alan" operetta, which were staged in more than 60 countries. Hajibayli also significantly contributed to the study of Azerbaijani folk instruments and described their features and classifications in his works. Thanks to Hajibayli's invaluable contribution, the Azerbaijani music continues to develop, a plethora of international festivals take place in the country annually, and Azerbaijani musicians partake in various music festivals and international contests abroad, promoting the rich Azerbaijani music in the world.